Last night we welcomed Pierre-Antoine from Domaine Laroche is Chablis to be our special guest for our February masterclass. Domaine Laroche has been a favourite of the Waud Wine Club, as we toured to Burgundy on the TDV in 2014. 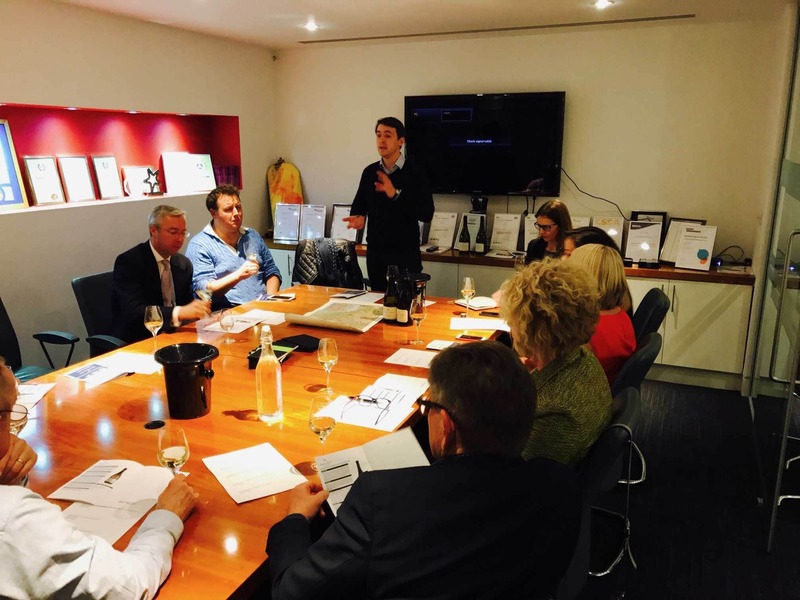 These masterclasses are designed to give members the opportunity to try some top wines whilst having an open floor to ask any questions they may have with a representative from the vineyard. After sampling the Pierre Legras NV Brut Champagne on arrival, we tried four fabulous Laroche wines. Interestingly, across the board, everyone had different prefences on their favourite wine of the evening. Some enjoyed the unoaked St Martin, whilst others were in raptures about the Grand Cru Les Blanchots. A very enjoyable evening and we look forward to hosting the next installment in late March. The theme is TBC at the moment.